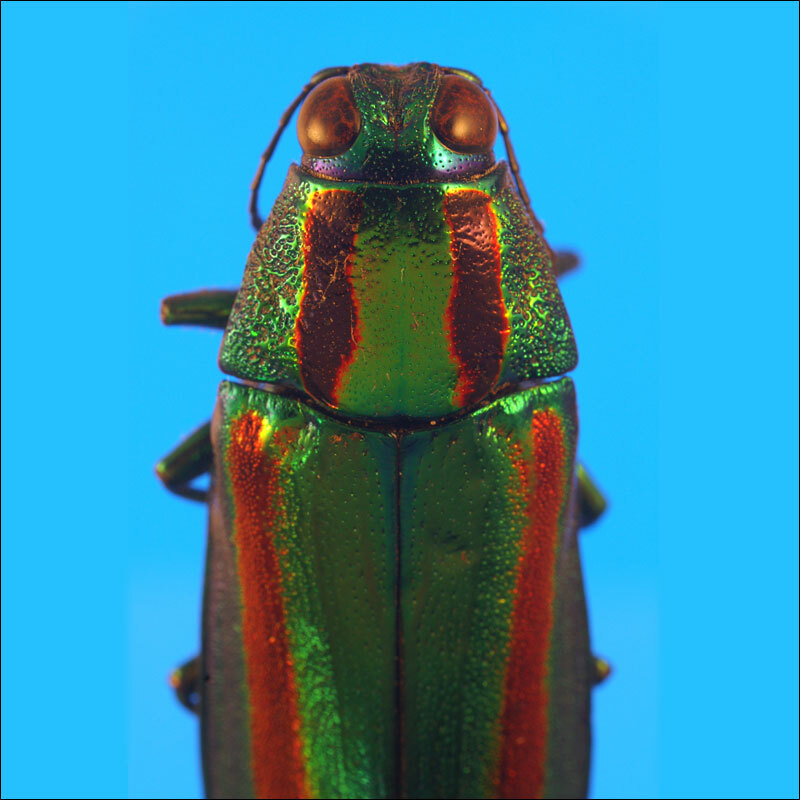 This is the surface of a type of insect called a metallic beetle from the family buprestidae. These are spectacular insects that have shiny, vibrant exoskeletons. The interesting thing about these beetles is that under a microscope, as this is here, they show no color at all—the color we perceive comes from an interference pattern much in the same way oil on water appears colorful. 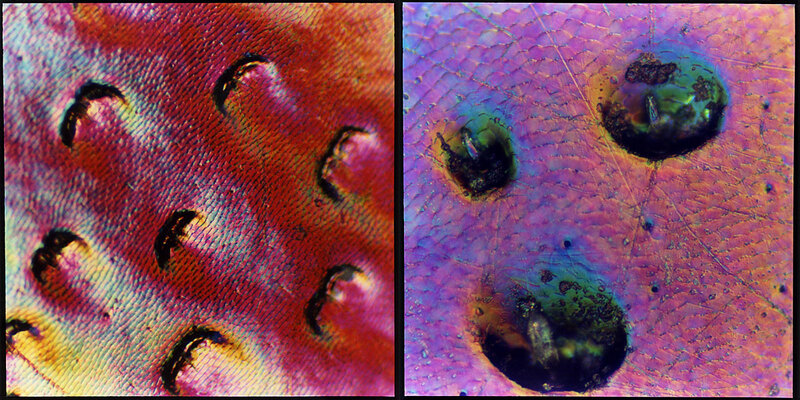 The color in these images is a product of a microscopy technique called Differential Interference Contrast or DIC. The operator can create any combinations of colors by simply adjusting settings. You can see how the beetle actually appears… This particular beetle is from Japan and known as Tamamushi or jewel bug, chrysochroa fulgidissima. Click on either image for a larger view.